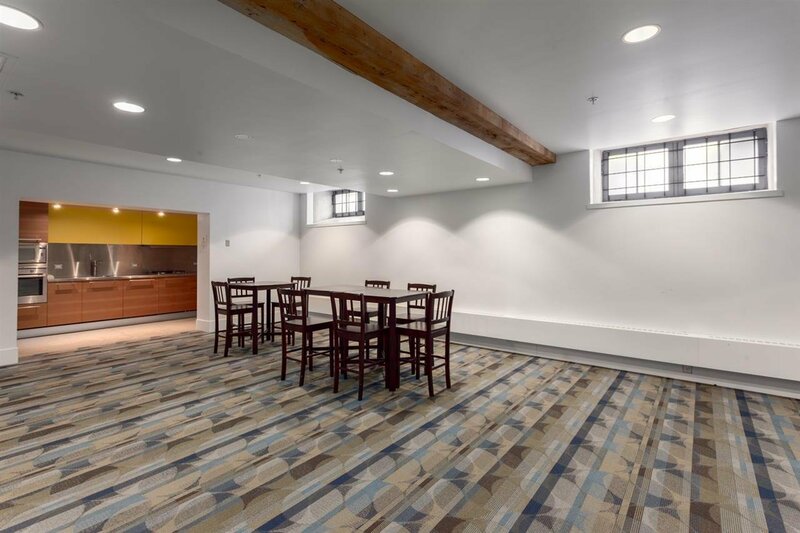 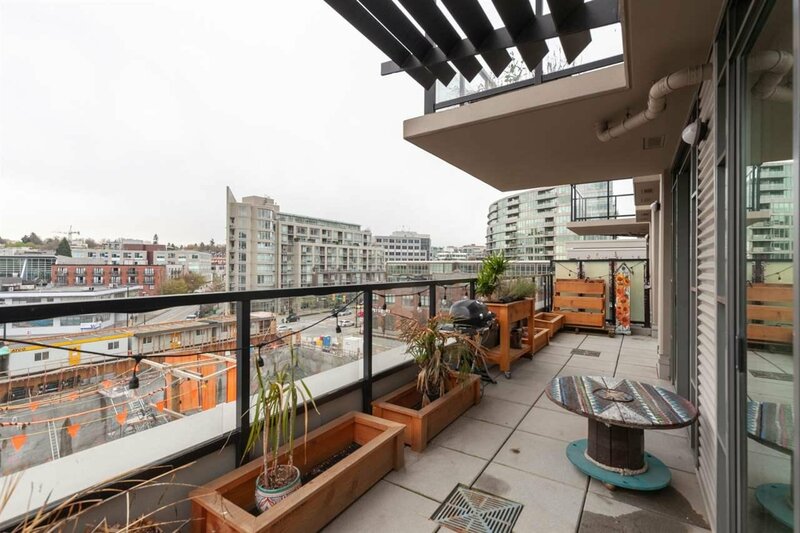 Description: Beautifully updated southeast corner unit, with 2 bedrooms + den & 2 full bathrooms. 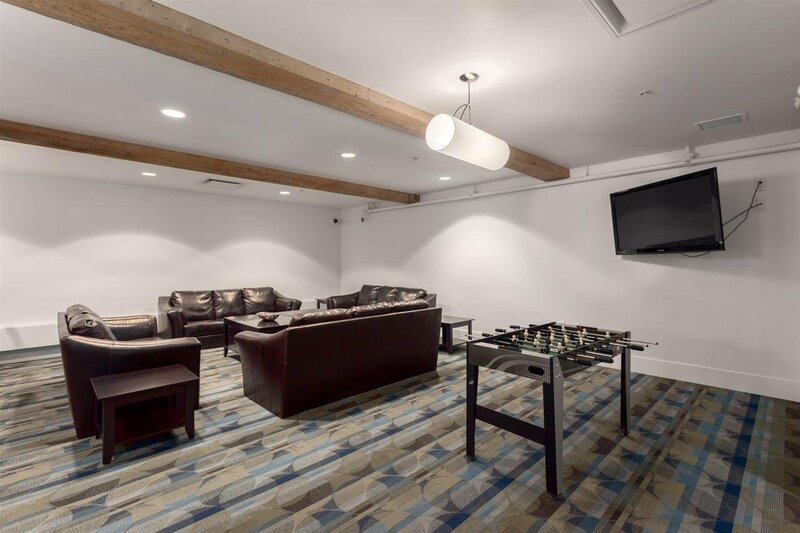 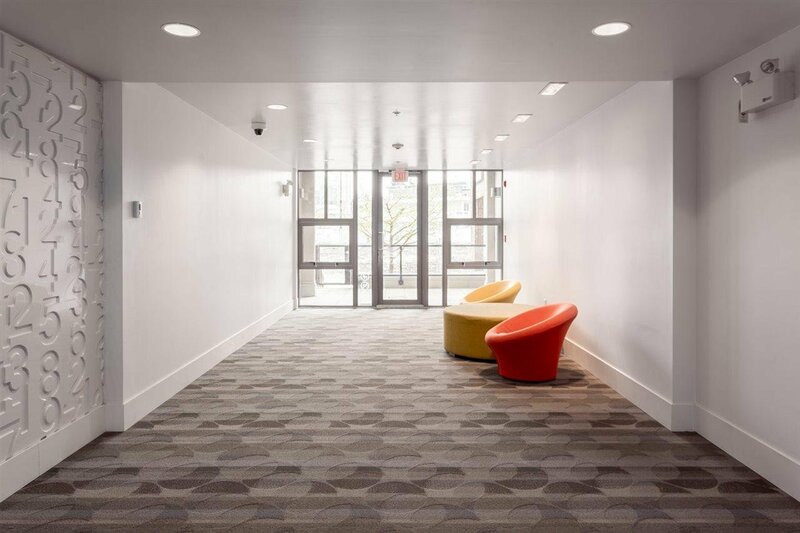 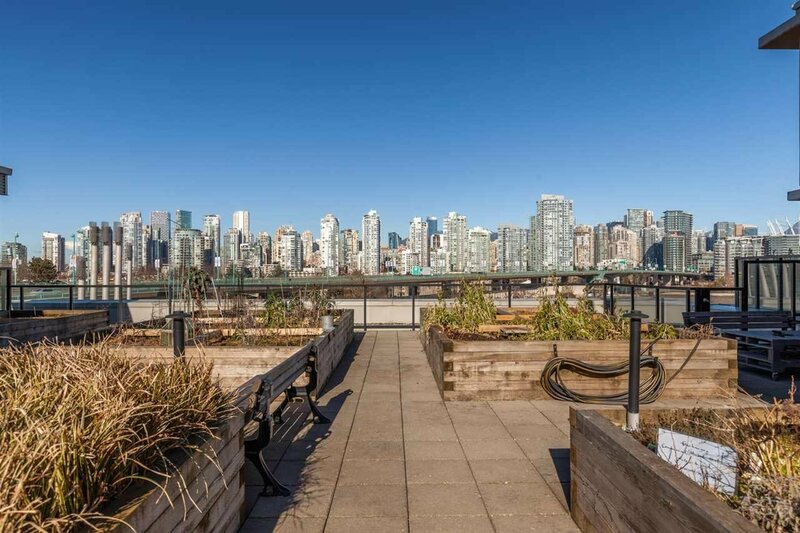 Located in the Exchange, a historic building in the heart of Olympic Village. 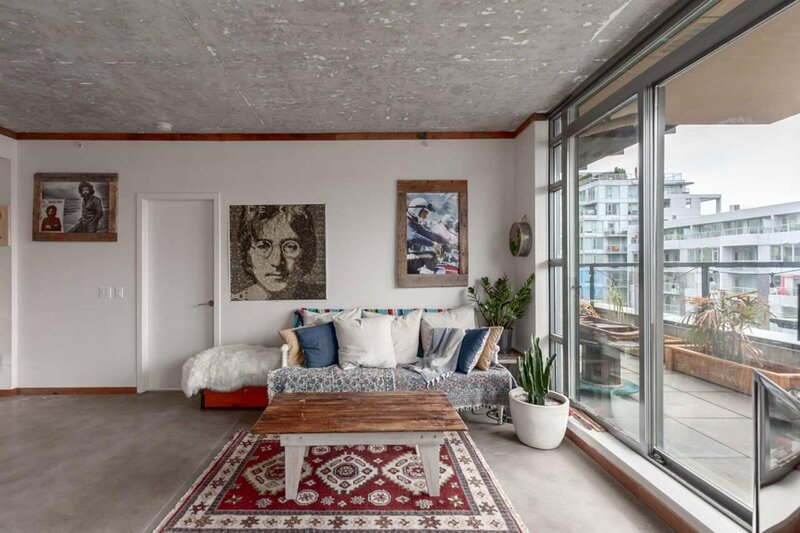 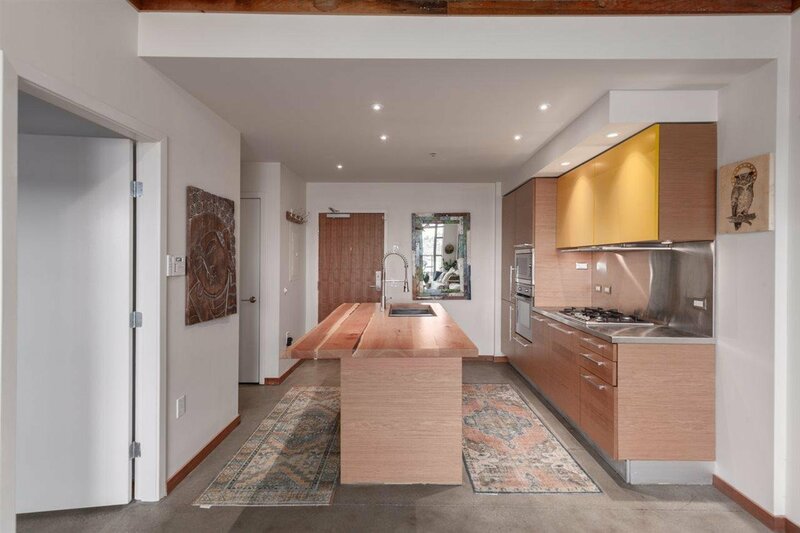 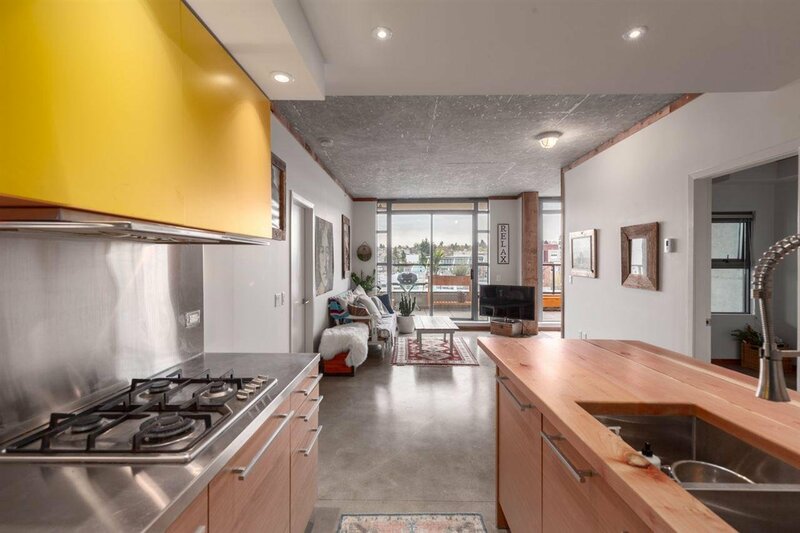 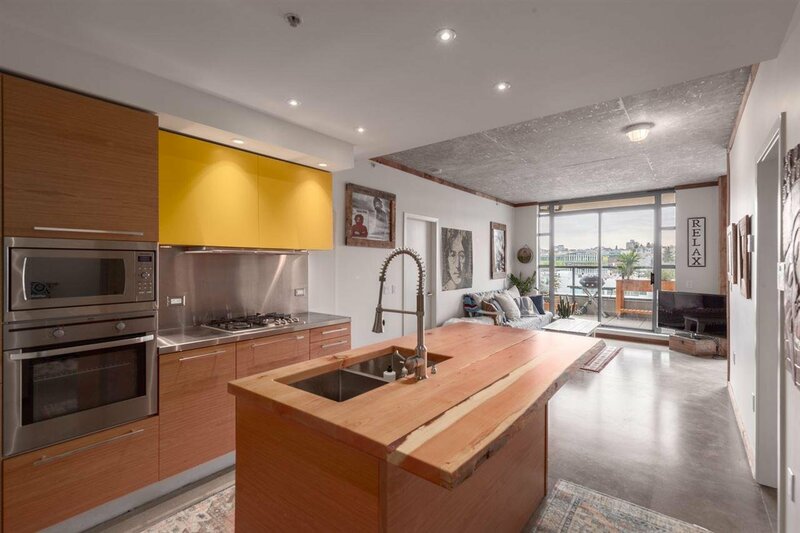 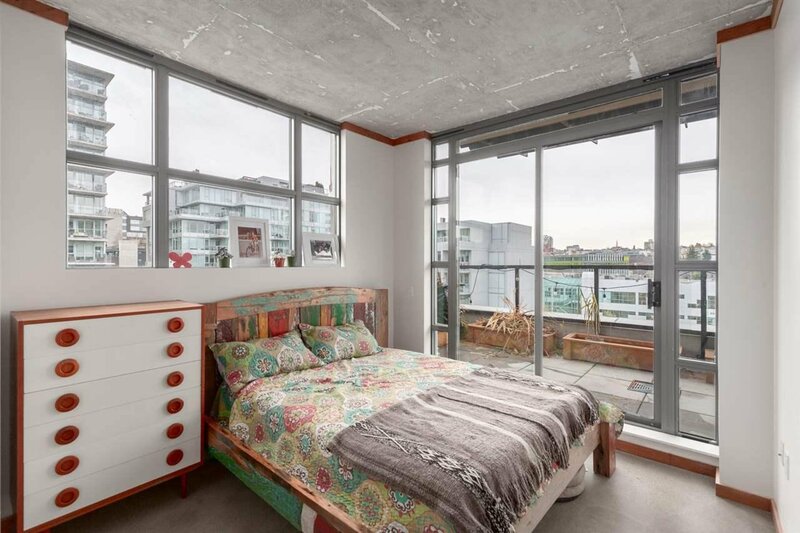 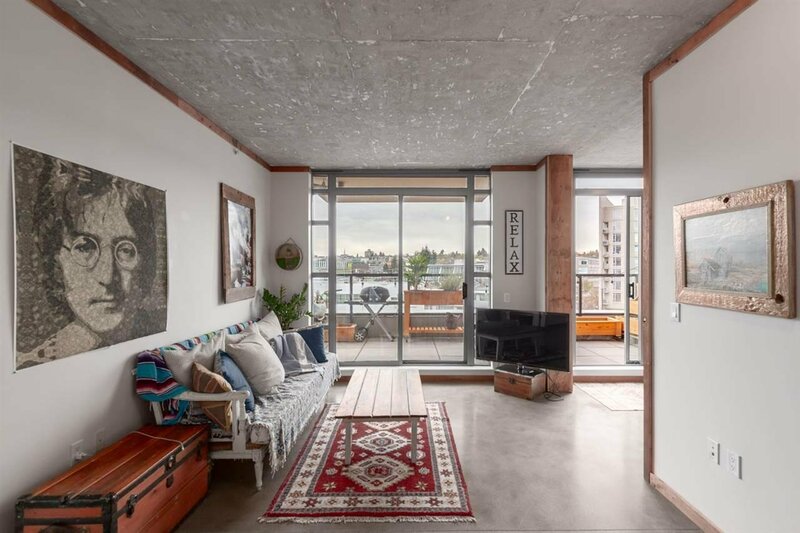 Terrific open floor plan with polished concrete floors & use of natural wood throughout, plus bedrooms separate from each other. 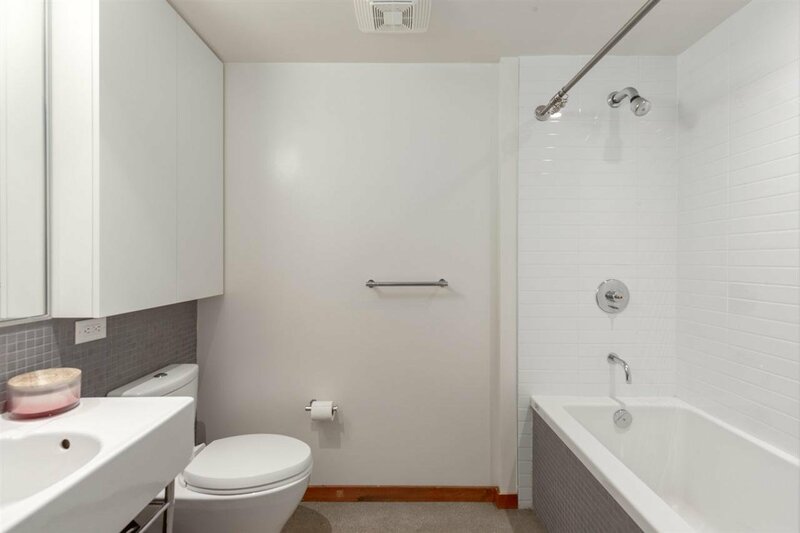 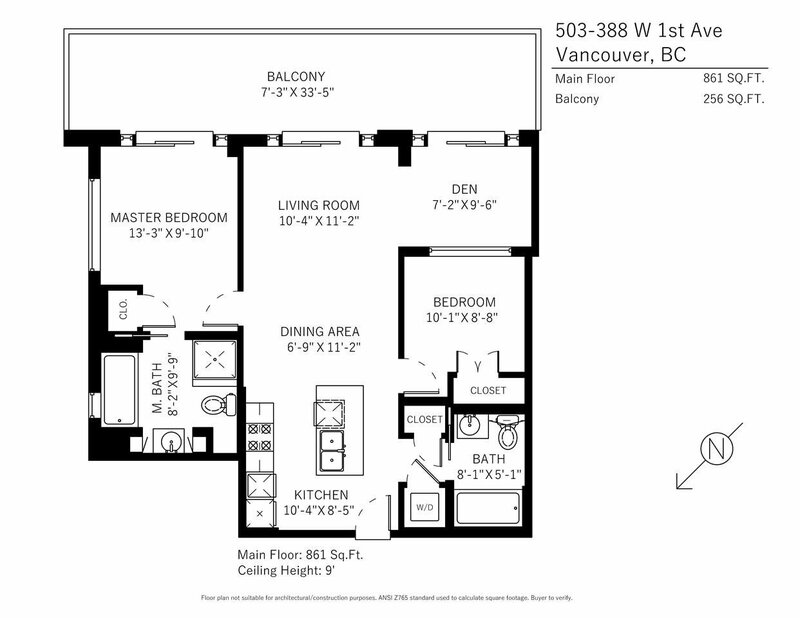 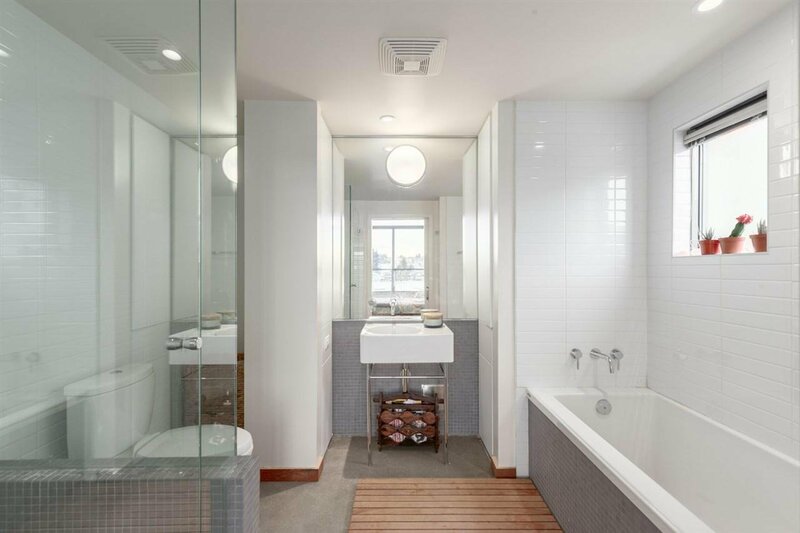 Master ensuite has deep soaker tub & walk-in shower. 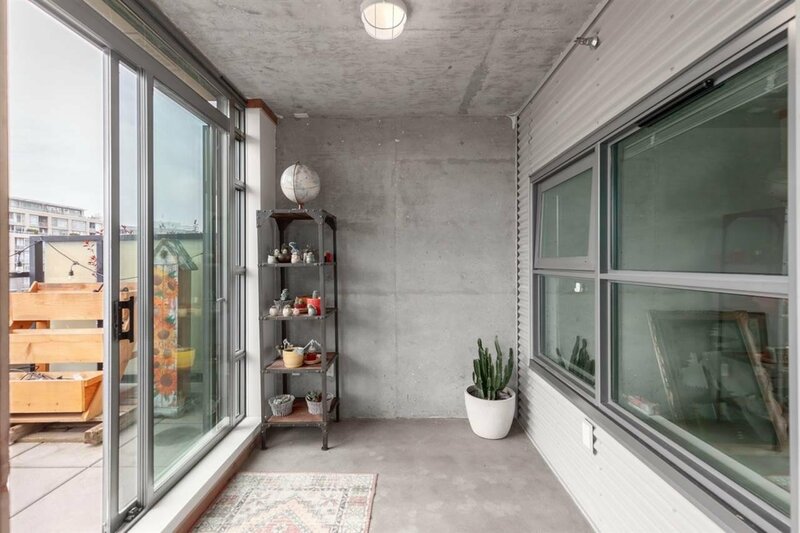 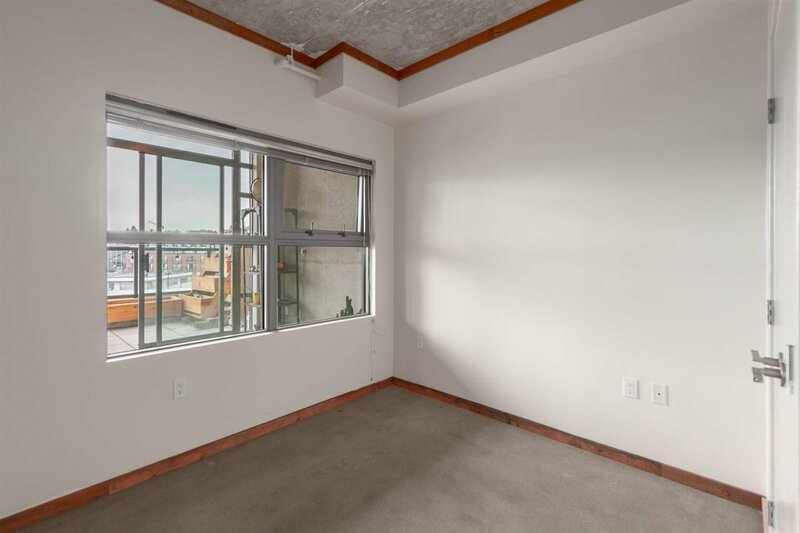 Den opens onto massive southern sun-drenched 256sf covered balcony, spanning the entire length of the unit with floor to ceiling windows, bringing in an abundance of natural light. 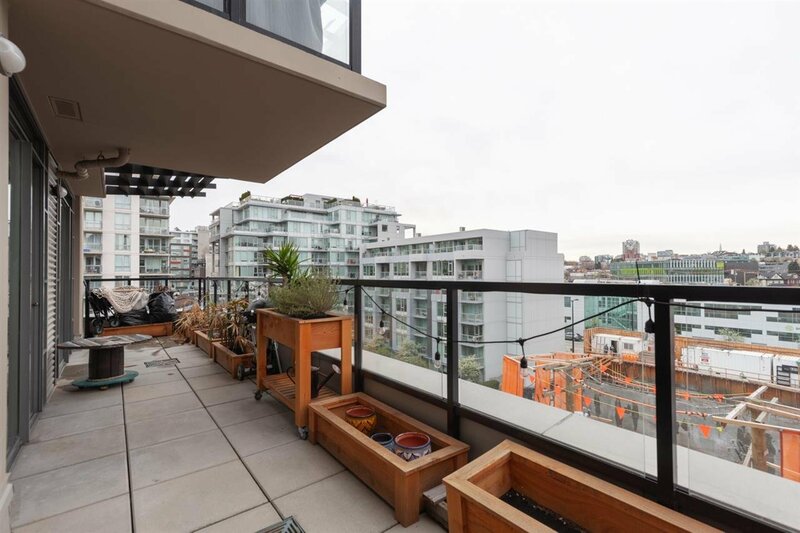 Perfect for gardening, entertaining, bbqing, or just chilling out in the sun. 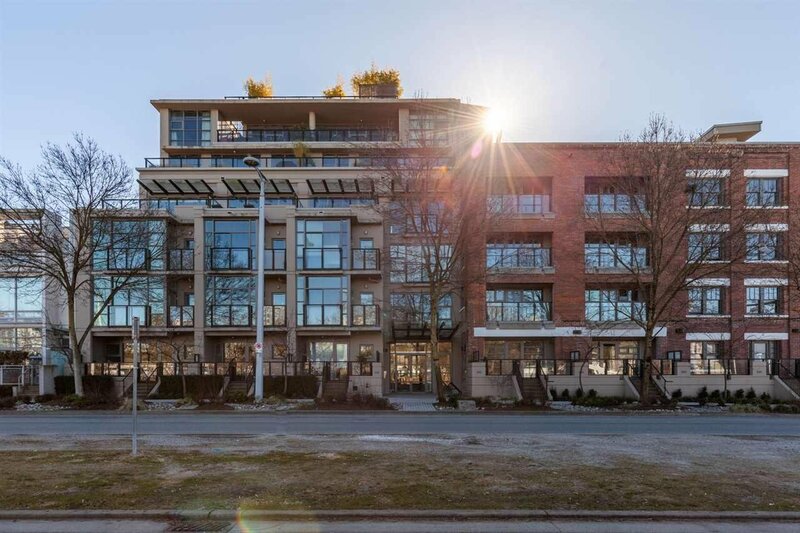 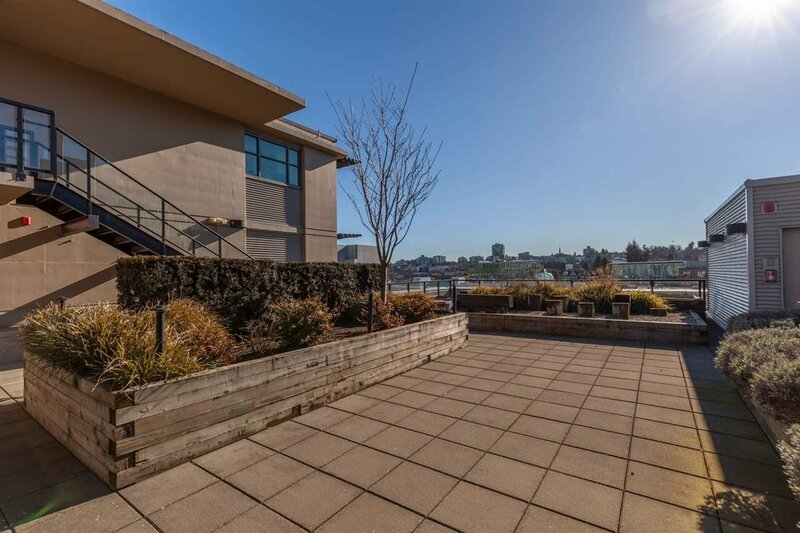 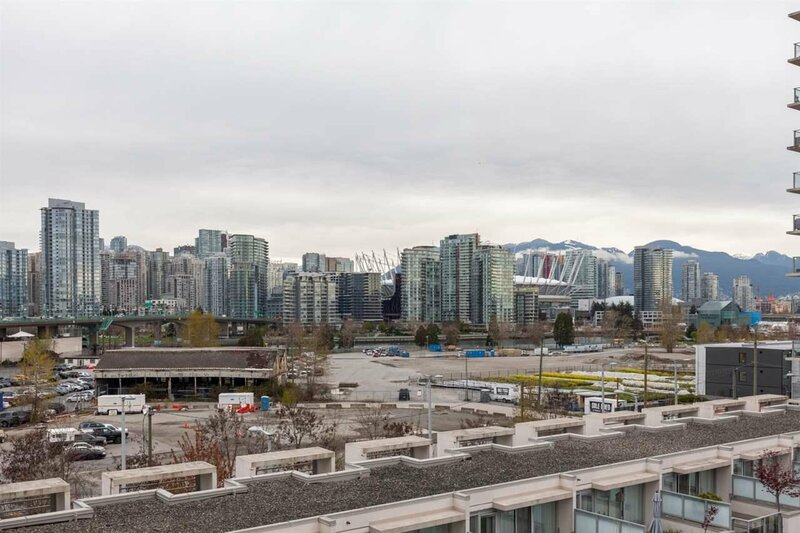 Building also features a rooftop garden on this level, while being only steps to the seawall, restaurants, grocery stores, Creekside Community Centre, Canada Line, and a short walk to downtown.